If you’ve been following along, you know that I’m expecting a baby in September! 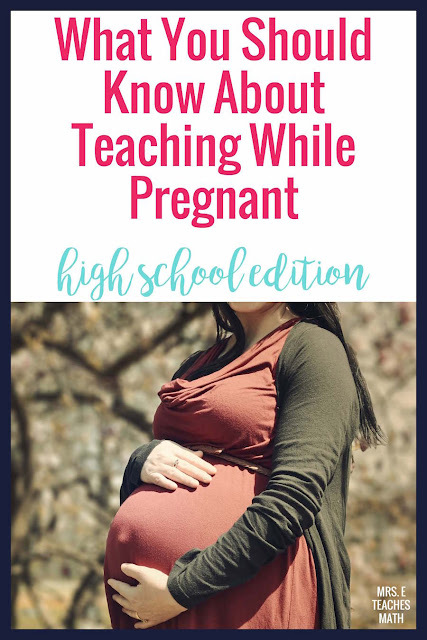 So, I spent my first and second trimesters teaching while I was pregnant. Before I got pregnant, I was very naive and thought that if I wasn’t “big”, not much would be different. Pft, yeah, I was dumb. Now that I’m out for the summer, I thought I’d share some of the lessons that I learned the hard way. Go to bed early and sleep as much as you can. The hardest part is bring “on” all the time while you are EXHAUSTED. There were a few Saturdays that I spent the entire day in bed recovering from the week. During the first trimester, I took a nap, ate dinner, then went to bed for the night a few hours later. Growing a human is exhausting; you need sleep! Tell you partner teacher or next door neighbor early. My “next door neighbor” teacher was the first person at work that I told. I needed her help. I had to run to the bathroom all the time and needed her to watch my class a few times. She was much more understanding and was there in the blink of an eye. I think it helped that she understood why I needed her help a little more often. Keep food with you at all times. I didn’t get very sick my first trimester, but I think it was because I was very proactive. I highly recommend keeping a large stash of crackers, dried fruit, hard candy, and anything else you can stomach in you classroom. Some people like those Preggie Pop Drops. I loved the Quaker Oatmeal Squares cereal. It is also a good idea to keep a huge water bottle full of water. Snacking continually through the day and drinking LOTS of water made me feel better. Get a stool. Staying in one position all day bothered me. I couldn’t stand all day, but I couldn’t sit all day either. I rotated between sitting at my desk, walking around the room, and sitting at a stool while teaching. When I started doing this, my back and hip pain reduced significantly. Do what you gotta do. This is the stool I bought. Rely on more independent work. There were days that I was exhausted and/or felt awful. I would tweak my lesson plans to have my kids work independently for at least part of the class period. I used lots of activities from Teachers pay Teachers and had them work on homework with their partners. This was a lifesaver. Tell your principal early. I told my principal and department chair when I was 9 weeks. I know that not everyone would be comfortable with that, but I think it worked out in my situation. They were much more understanding if I needed to run to the bathroom a million times and they were awesome about doctor’s appointments. I was also let off lunch duty. I never expected that, but it was SO nice to have an extra few minutes to catch my breath. Be super honest with your students when you aren’t feeling your best. There were a few days that I arrived at school looking just awful. I told the kids at the beginning of class, “See how awful I look today? That’s how I feel. I really don’t to take my grumpiness out on you, but you’ve gotta help me out today. Let’s just all do what we need to do to get through this class period.” While those weren’t the best days, I felt like it was important for the kids to understand where I was coming from. What does it feel like when the baby kicks? Does it hurt if you poke your belly? I did end up letting a few students touch my belly. They came after school and asked first. It surprised me, but I don’t really care if people touch my belly, as long as they ask first. I also ended up having a very serious conversation with two girls after school that came to ask about conception. Apparently one of them thought she was pregnant and felt safe enough to talk to me about it. I wasn’t prepared for this type of conversation, but I did tell them that this was a BIG deal and she needed to talk to her parents. She didn’t want to, but I told her that one extremely awkward conversation with your parents is much better than lots of things that could potentially happen. Working while pregnant was certainly an adventure. If you’ve taught while you were pregnant, do you have any tips you’d recommend? Oh do I! I am now the mother of three (ages 4 and under), all that I had while teaching up to the day they were born. Buy AWESOME supportive shoes even if they are hideously ugly. It makes a world of difference. A wiser pregnant teacher told me, and I finally caved. The ache in my calves reduced by an amazing amount. Keep bottles of water in your room or somehow set routine times that you refill the bottle from home. I completely agree with the food. "Eat food not students." Set-up a strong start-up routine for each period. They should know what to do and get busy even if I don't tell them or am not in the room (because I'm down the hall in the restroom). After I had established (and enforced) the routine at the beginning, it paid off later. Congratulations Mrs. E! The shoes comment was a good point. I started wearing flip flops every day, but I am in Texas. More supportive probably would have been better, but anything else made my feet so hot! Amen to the startup routine! My kids have bellwork at the beginning of every period. That saved me several times for bathroom trips! I am pregnant right now and I teach 4th grade, my students are very excited about the baby, we make a little game to let them guess if it's a boy or a girl. I think that if you let your students get involved with the baby, specially if they are little students, they will be more aware about your condition and they will be helpful and kindness with you and in those days we definitely need that. and they get really excited like if they are having a little sister o brother. I have been there and done that! Both of my boys (now 18 and 14) were due in September and born in August while I was teaching high school in the Texas summer heat. I taught right up until the day they were born with both of them - back when school started a little earlier than it does now. Birkenstocks and houseshoes were my best friends in August as my feet became unrecognizable. Take it easy and get lots of rest during this last trimester. I can't imagine teaching in the heat up until the very end. I'm giving you a major pat on the back for that! The Texas heat is killing me this summer...and it's not even a hot summer! However, I do think it would be worse to work at a job where I had to work all summer and wear a business suit everyday. Maxi dresses and the swimming pool are my best friends! I'm seven weeks tomorrow and am an itinerant teacher in Texas. My home district has a ridiculously strict policy on schedules, dress codes, and even shoes! They have to be closed toe loafer style nothing sleeveless or v neck and we have to be in direct contact with students for the whole class period no exceptions and absolutely no food or drink ( even water) with students in the room. How do I manage early pregnancy symptoms within these guidelines? Do I need to have my dr write me a note allowing me to drink and eat during class? Or wear comfortable shoes? Help!!! OMG! That is crazy strict! Wow! I would definitely ask for a doctor's note to at least be allowed to drink in front of students. I am a first year h.s. teacher at 24 weeks after the first semester, teaching 3 classes of Physical Science to 9th, and 2 classes of Marine Science to 10th-12th. I appreciate this article, and the emphasis on taking care of yourself. I would add that teaching and behavioral issues can add stress, anxiety and panic on the heart, and being pregnant is like a double whammy. I was not prepared for the SVT episodes I have had (one time ending up in the ER, having never had tachycardia over 200bpm for 3 minutes before as it usually used to subside). If I could do one thing differently about the first semester it would be to collect phones from the class completely every day with no exceptions (phones are an enormous stress to teachers and even more with 30 students, some with serious phone addiction), and be prepared 30 minutes BEFORE class begins. 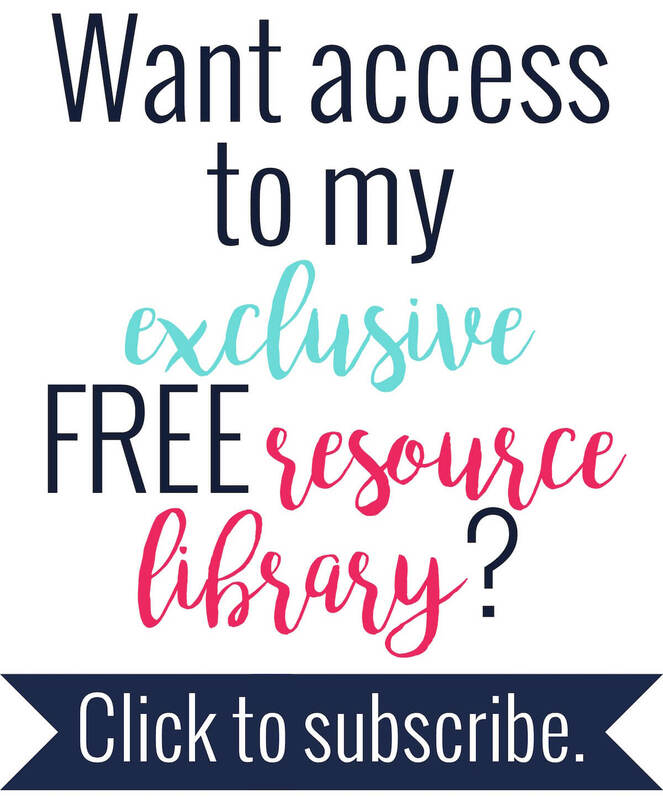 I also found Lesson planet much more helpful than Teachers pay teachers, as the former costs an annual fee for thousands of lessons, whereas the latter is $5-9 per lesson. Cheers to all expecting ladies out there.